To test my Atomic transaction, I wrote a Windows Form application that used my Class Library. It simply got the ID and value for an account and passed them to Transfer() method. 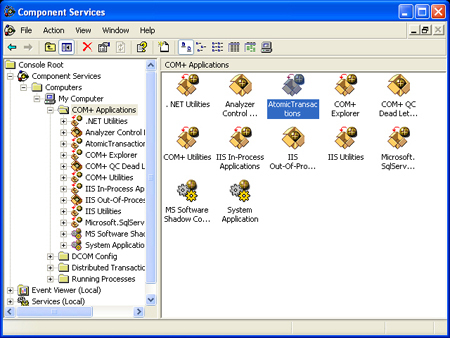 This Windows Form application must have a reference to System.EnterpriseServices as well. I ran my application and gave valid values (1 for ID and 5 for value) to it. The result was normal in the database, but look at the Transaction Statistics. 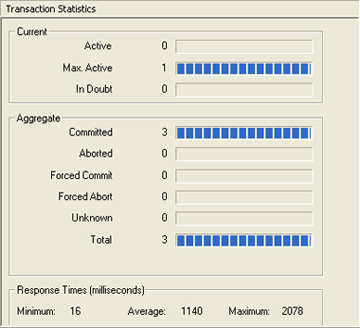 S now I provide an invalid value, say 11, for my application to throw an exception in my Atomic transaction. 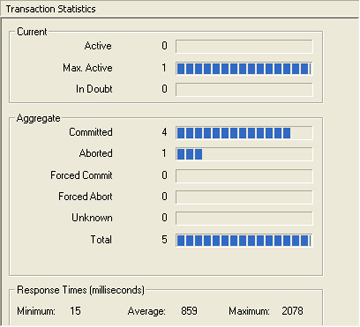 Nothing will change in the database, but the Transaction Statistics show an Aborted transaction. The normal form database must be updated because the value must be added to the database before exception.